Well over half a million sickness benefits appeals have succeeded – why has the DWP kept this quiet? DWP ministers said only 9% of ESA decisions were wrong. Our research reveals the DWP have been quoting from figures which state 151,800 appeals have succeeded. Our evidence shows the true figure to be at least 567,634 – casting serious doubt over 43% of 1,302,200 ‘fit for work’ decisions. DWP’s internal figures reveal a much higher number of successful ESA appeals than have been made publicly available. A DWP reply on 13 June 2014 to a Freedom of Information Act request made as part of an investigation in to DWP figures relating to the controversial Work Capability Assessment by ilegal.org.uk has revealed that of 1,287,323 ESA appeals, at least 567,634 claimants have had the original DWP decision overturned in their favour. Government’s key defence of the assessments has been that around 9% of all decisions are incorrect. The most controversial of which are those where a claimant is found fit for work. DWP figures (for new claims) show that betweenOctober 2008 and September 2013 a total of 1,306,200 fit for work decisions have been made. 567,634 have been successful. The DWP have revealed to us figures which show nearly quarter of a million internal reconsiderations have led to decisions on new ESA claims being overturned in favour of the claimant; we have added these to figures from HMCTS tribunals which provides us with a much higher figure than the DWP seems to be prepared to admit to in their publicly available figures. Our intensive research into the assessment of claimants for the DWP’s Employment & Support Allowance (ESA) has, following a freedom of information request to the DWP, provided one of the final pieces of the jigsaw needed to unpick the Department’s overly complicated statistics. We now have the final clue which has enabled us to identify that no less than 567,634 ESA claimants have in fact had their initial ESA refusals overturned in their favour. It is a startling revelation that the government department has apparently been keeping a lid on a set of statistics that clearly shows between May 2010 and June 2013 no less than 820,356 decisions were looked at again by the DWP after claimants had been assessed by the controversial private contractors Atos Healthcare. These ‘internal’ statistics show that a very substantial 232,782 (28.5%) decisions were then subsequently overturned in the claimant’s favour. What makes this all the worse is that these reconsideration statistics come on top of separate figures that show us that of those claimants who did not have the decisions overturned in their favour by the DWP, 817,102 went on to appeal to tribunals arranged by Her Majesties’ Courts & Tribunals Service where a further 332,607 were then overturned in the claimant’s favour by the tribunal. These figures completely negate all of the DWP’s claims that it is getting the majority of its decisions right. Government ministers in conjunction with the DWP’s Press office have been telling us that a million claimants have been found fit for work whereas these figures show that in reality this is only a small part of the true story and that huge numbers have gone on to successfully appeal decisions which were wrong. These new figures highlight the dubious practice of using the unchallenged assessment results, which only encourage media sensationalisation, with headlines such as those appearing in the Daily Express in July 2011 stating that ‘75% on sickness benefits were faking’. The same article goes on to say that out of ‘…2.6 million on the sick, 1.9 million could work’ before receiving an endorsement from the Prime Minister with an assurance that his government was “producing a much better system where we put people through their paces and say that if you can work, you should work”. These figures have been available to the DWP and its ministers since April 2010 from their ‘Decision Making & Appeals Case Recorder (DMACR) – ESA Management Information Statistics’. 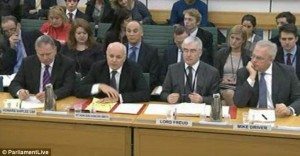 The DWP confirms this to be unpublished information which is for internal department information only, yet our research notes that the Right Hon Chris Grayling was using the same information in answer to Parliamentary questions on the 10th January 2012. We question then why the DWP has consistently ‘over promoted’ only the results of Work Capability Assessments relating to ‘initial’ decisions (including the opinions of Atos Healthcare in the absence of a statutory DWP decision) when it could instead have come clean and declared how hundreds of thousands of their incorrect decisions have since been overturned in favour of the person appealing. These revelations seriously undermine the DWP’s contention that the initial Work Capability Assessment outcomes are a valid measure of the claimant’s ability to work. The DWP has consistently defended its assessments by giving an impression that only a relatively low number of decisions have been overturned whereas the reality is that well over half a million have resulted in a successful outcome for the claimant. This news must have come as cause for grave concern when considered in the light of a recent revelation by DWP Minister Mike Penning which revealed that in addition to the figures we have highlighted, a further 712,000 Employment & Support Allowance claimants are awaiting assessments without which they cannot yet appeal. This hugely unacceptable backlog of cases means people with disabling medical conditions are left hanging for months and months on a basic allowance way below what they are entitled to. This is leaving hundreds of thousands deprived of the support they require and means having to scrape by on money which is wholly insufficient to meet their needs due to disability and illness. It also means many claimants affected by severe and complex mental health conditions are facing prolonged torment as they wait month upon month for their decision to be overturned before they can even lodge an appeal. These findings add considerably to the pleas of disabled groups all over the country to scrap the Work Capability Assessment (WCA) and to find a better way to assess their needs. It is simply appalling that the DWP, along with Ministers and other government spokespeople appear to be feeding the media with misleading statistics that are unrepresentative of the real story and instead encourage headlines vilifying the disabled and the genuinely ill. These figures clearly show the DWP has evidence in their possession which shows how in far too many cases the decisions it is making are dead wrong and they know they’re dead wrong. i-legal website with links to the article produced. We apologise for the slight delay in publishing this release. This was due to a need to align the figures to ones recently produced by the DWP in their Work Capability Assessment figures released on the 12th June 2014 which relate to the most recent statistics up to September 2013. A full supporting explanatory memorandum will be published very shortly. The Reconsideration statistics relate to new ESA claimants only (excluding incapacity benefit to ESA conversion cases) whereas HMCTS figures refer to all ESA claimants. It is our contention that had the DWP supplied all of the information we had requested, the figures for reconsiderations would have been considerably higher. We acknowledge that not all appeals will be against fit for work findings for new claimants but given the DWP’s emphasis on this claimant cohort and the lack of information to the contrary we are of the contention that other appeals relating to claimants being moved from the Work Related Activity Group to Support Group are likely to be of a much lower volume and more likely to be contained within the cohort relating to incapacity benefit/ESA assessment. We would like to express our thanks to Anita Bellows an i-legal member for her cooperation and for making the freedom of information request upon our guidance and our thanks extend to the DPAC organisation with whom Anita is also a member.